Improve the physical and cultural health of Native community members living in the Bay Area, Northern California, and beyond. Revitalize Native plant species, and the rich cultural knowledge of stories, songs, recipes, and practices that go with traditional foodways. Improve health and environmental justice in the Bay Area Native community through our regional and global partnerships with Tribes, Indigenous Peoples, and non-Native allies. 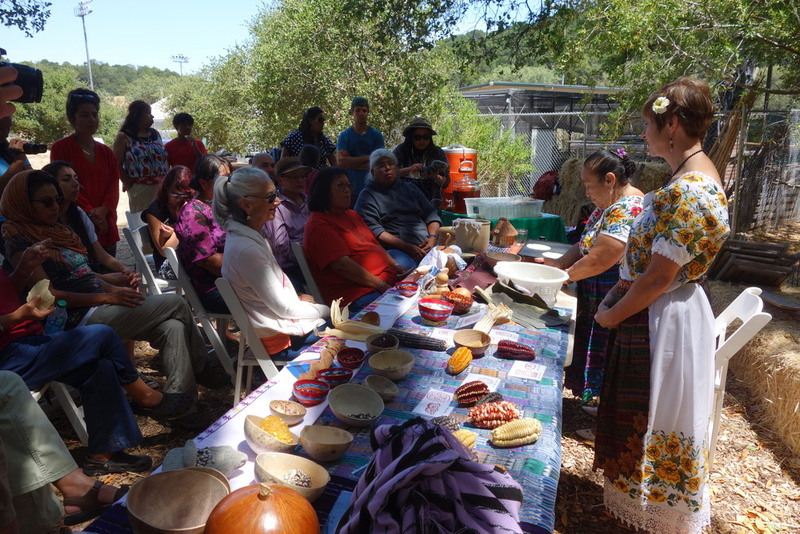 Through our partnerships with Indigenous communities and the Indian Valley Organic Farm & Garden and the College of Marin, The Cultural Conservancy provides unique opportunities for the cross-tribal, cross-generational Native community to come together and share foods, Indigenous farming knowledge, stories, and songs. We co-steward 1.5 acres of land, including a Three Sisters Foodways Garden with culturally significant, heirloom varieties of indigenous food plants, including Seneca White Corn, Tepary Beans, Taos Blue Hubbard Squash, Quinoa, Hopi Blue Dye Sunflowers, and other native foods and medicines. Additionally, we are planning an Ethnobotany Teaching Garden with local, culturally-significant plants: Manzanita, Soap Root, Oregon Grape, and Elderberry. Fresh, organic produce and native foods delivered each month to local Native youth groups, health and cultural centers, and families in the Bay Area. Through our Native CSA Intern Program, youth learn about the intricacies of native and organic foods, organic farming, and bring their knowledge to community members while delivering fresh produce from the farm to urban site locations. 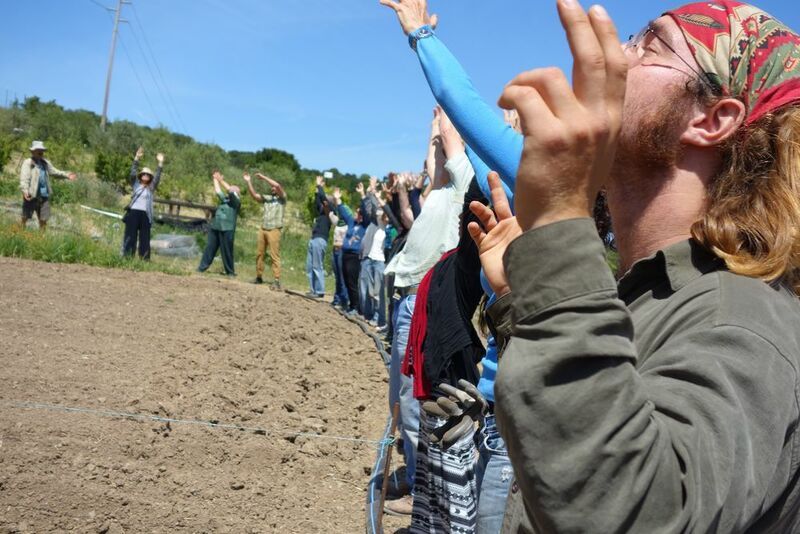 We host and produce intensive and public workshops with Native chefs, nutritionists, Indigenous knowledge holders, and organic farmers centered on Native agriculture and nutrition, diabetes prevention, native foods cooking, native California plant ethnobotany, as well as planting, and harvesting. Those involved in our CSA work as well as other Tribal community members are encouraged to attend. We are creating a management system to store and protect Native heirloom seeds that are increasingly rare and endangered. Seeds are the true wealth of sustainable agriculture and Native American plant-based foods. We currently have seeds to share — get in touch if you are in need! We honored to take part in the forming of this historic association. Click above to read this article on the formation of the Slow Food Turtle Island Association. Click above to read this article on our Association's participation in Terra Madre 2016, the Slow Food International gathering. We have an extensive archive of audio and video recordings of Native Foodways knowledge-holders, and have produced a small collection of short video documentaries and audio programs. We are currently developing curricula to accompany these, and are seeking support for this effort. Below are a few examples of our finished work—please feel free to share this wisdom far and wide! Based on extensive oral history interviews with indigenous food practitioners, this project highlights the critically important work being done by Native leaders today. We have conducted over 30 oral history interviews with Native American elders, teachers, farmers, hunters, wild food foragers, fishermen, cooks and chefs, activists, and advocates. 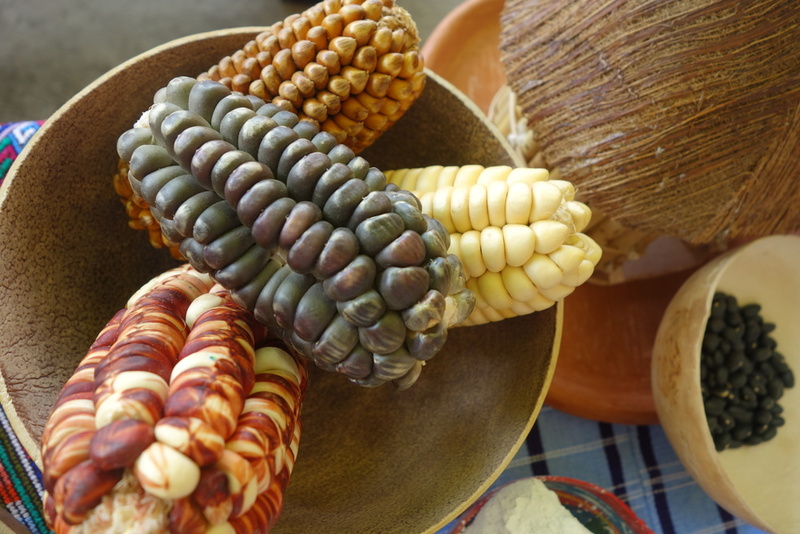 This audio journey features contemporary Native American community leaders and traditional food gatherers sharing diverse stories of native foodways, their cultural knowledge and practices of indigenous nutrition and health. Listen to these stories on our Oral Histories of Native Food Revitalization page. "Nourishing the Body, Honoring the Land"
Nourishing the Body, Honoring the Land explores the transformative nature of Native foodways through dance, planting, stories, and movement focused on physical, spiritual, and traditional lifeways. As part of The Cultural Conservancy's 2014 Workshop Series, we invited Rulan Tangen of Dancing Earth and Wendy and David Bray, knowledge holders from the Seneca Nation to take us through an immersive, hands-on experience of traditional foodways teaching and learning. Photo credits on this page: Kaylena Bray, Mateo Hinojosa, Melissa K. Nelson, Loren Risley, Nícola Wagenberg.